Holy Family’s lunch program provider, Taher Food Services, continues to be a pioneer and industry leader by serving food that is fresh, wholesome and healthy. 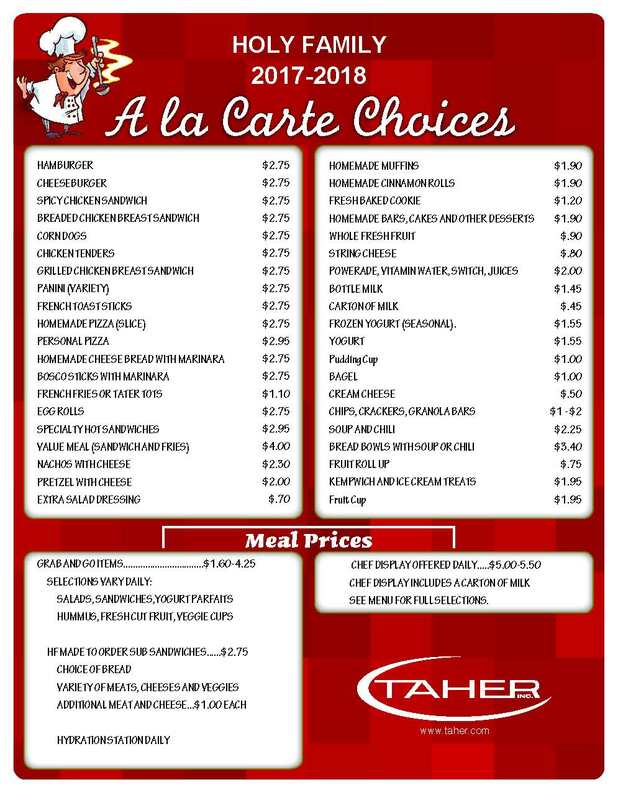 Students may choose from a chef prepared meal as well as a variety of a la carte items. A La Carte Prices remain the same for 2018-2019 school year. See list below.